This self contained hydraulic boat lift needs no shore power! Accessories available include a “deep V” cradle design enabling boat owners to configure the boat lift for a custom Boat-to-Bunk™ fit. The bunk rails can be adjusted for width and angle to accommodate a wide variety of hull shapes and skeg placements. 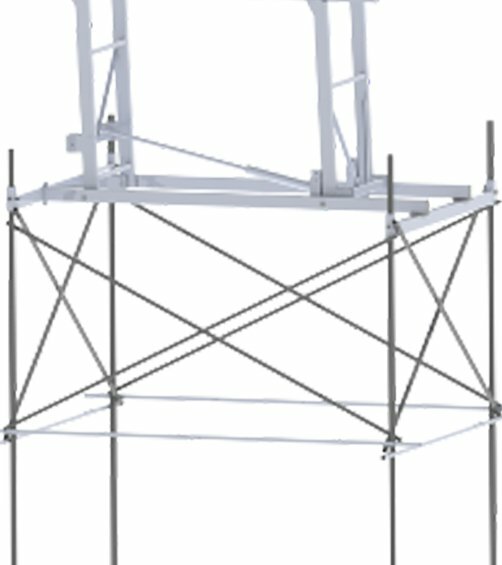 Universal fittings make it easier than ever to connect accessories such as a catwalk or centering guide. As the boat raises and lowers on the lift, the accessories move with it. 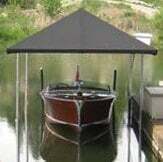 No welding is required, giving boat owners a flexible and elegant solution that can be temporary or permanent. The patented load-dispersing clamp strengthens the boat lift where necessary and allows it to be lighter elsewhere. The hand-in-glove fit between the beefy clamp and its rail improves the load transfer for the pivot pins, reducing local stresses. The clamp supporting each pivot pin is bolted instead of welded in place to allow the aluminum rail to retain its maximum strength. Note: Boat lift uses a Group 27 deep-cycle marine battery. Battery is not included.